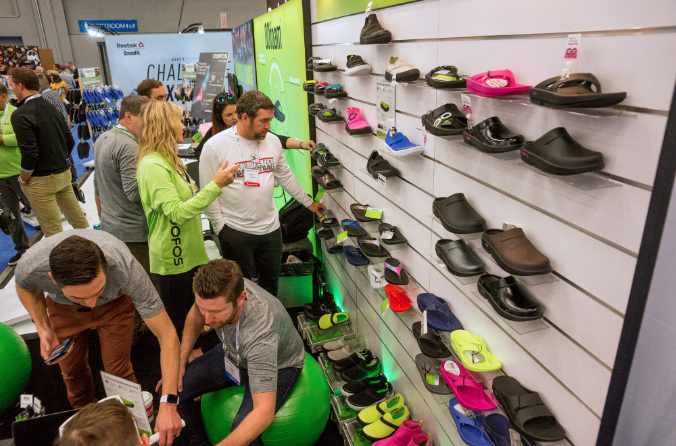 As another strong running community gathering at The Running Event (TRE) comes to a close this week the industry is flying high once again after a couple of years of declining sales in the run specialty channel. Contrary to negative reports in the market about the end of performance footwear, SSI Data this week reported that Performance Running Footwear sales were flat in the overall SSI Data Measured Market, while posting mid- to high-single-digit growth in the all-important Run Specialty retail channel. The SSI Data team presented their latest market trends to hundreds of run specialty retailers that attended The Running Event conference sessions before the trade show in Austin, TX. SportSoneSource also cited recent participation data from SFIA in their TRE presentation that indicated growth in running participation, particularly at the core runner level. SSI Data is reporting that Brooks continues to lead the pack in Performance Running Footwear followed by New Balance as both brands post continued double-digit growth. From a growth percentage standpoint, the emerging brands all posted very strong double-digit growth as some doubled their business.